published books to discover what makes for a blookable blog. I’m working with a friend of mine, Dave Wildman, on a project that brings blogging, and videoblogging together with his forthcoming novel, The Book of Enemy. We’re looking for volunteers to participate in a social media art experiment. The Book of Enemy is a groundbreaking blog-novel that is happening in real time throughout the month of September. 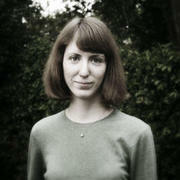 The project will culminate in a reading/performance piece at Axiom Galleryin Jamaica Plain, Boston, MA on September 28. A number of Boston artists, photographers and filmmakers are providing illustrations for the show, and we’d like to open the project up to the vlogosphere. The concept is similar to that of The Germaine Truth in that multiple individuals could simultaneously collaborate on a story. The difference was that The Book of Enemy imposed a time limit of only 30 days. Judging by the three blogs referenced at The Book of Enemy website, participation was light. One of the blogs has only a single post! On another, I struggled to see any connection to the story at all. This leaves one blog that appears to have been written by a character in the novel, but it’s hard to tell. The inclusion of video was supposed to differentiate The Book of the Enemyfrom most other online works of fiction. However, there is only one video clip. The Book of the Enemywas supposed to include photographs but none are posted; yet the announcement says “A number of Boston artists, photographers and filmmakers are providing illustrations for the show.” What’s up? The scarcity of blogs and posts, as well as the dearth of visuals raises two questions. First, was there an adequate audience from which to recruit participants? And second, how was the marketing of the project handled? It’s tough getting attention for literary works. I actually got a rave review from Chuck Palahniuk, but I’ve had trouble getting agents to bite. So I’m making a spectacle out of it. As a “social media art experiment” I’m not sure that it succeeded. As an indicator of what the future might hold, I think it’s right on the money. 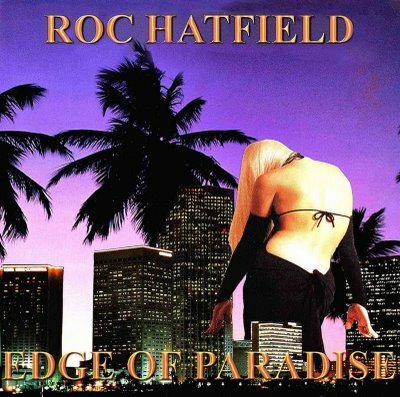 Another multimedia novel which made a splash — assisted by some healthy advertising — was Edge of Paradise by Roc Hatfield. It includes a soundtrack as well as photographs and a slide show. I don’t know if the color photographs made it into print. I’m sure the music didn’t! On the other hand, the music CD is available. Only the first two pages of each chapter will be printed in the paper edition, including one photograph. Also included inside the paperbound cover, a compact disc containing the complete text of every chapter, plus hundreds of color images, audio and video files and web-based content. Software needed to read Carbondale After Blog (TK3 Reader) will be included on the CD. Both Carbondale After Blog and Edge of Paradise were solo efforts (as far as I know). 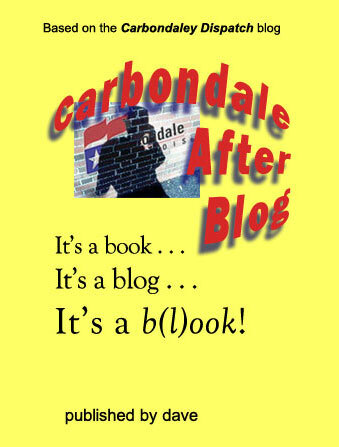 The Book of Enemy and Carbondale After Blog both include video. But it is the social, collaborative aspect of The Book of Enemy that could have made the project outstanding. This entry was posted in blog to book, blogs & writers, Columns and tagged blook, collaborative fiction, multimedia blog. Bookmark the permalink.